Full Moon 4 Miler TOMORROW in Waterford. 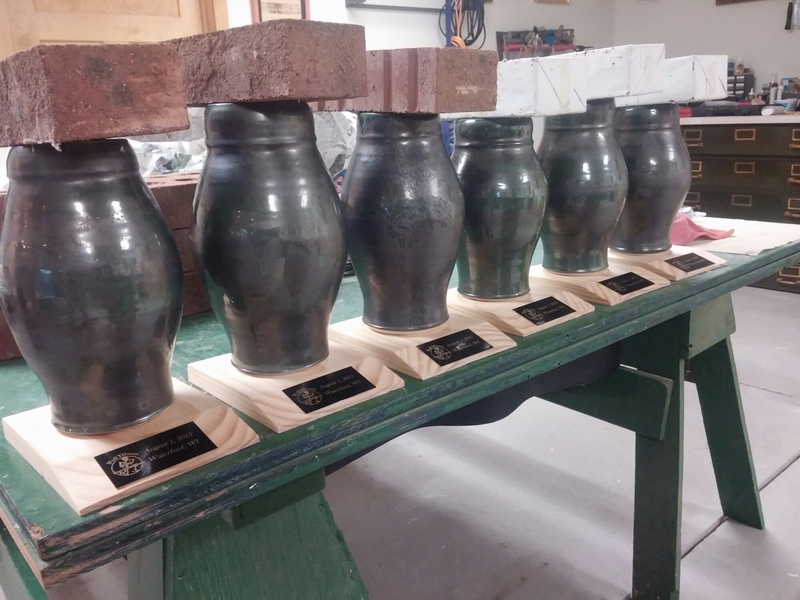 Thanks to Brett Roberts for the awesome vases for trophies. Will you win one of the 6? I’d like to try! Here they are drying, ready for tomorrow nights race. Good running you all.